Ever wondered what DJs are doing up in the booth? This is your chance to find out! 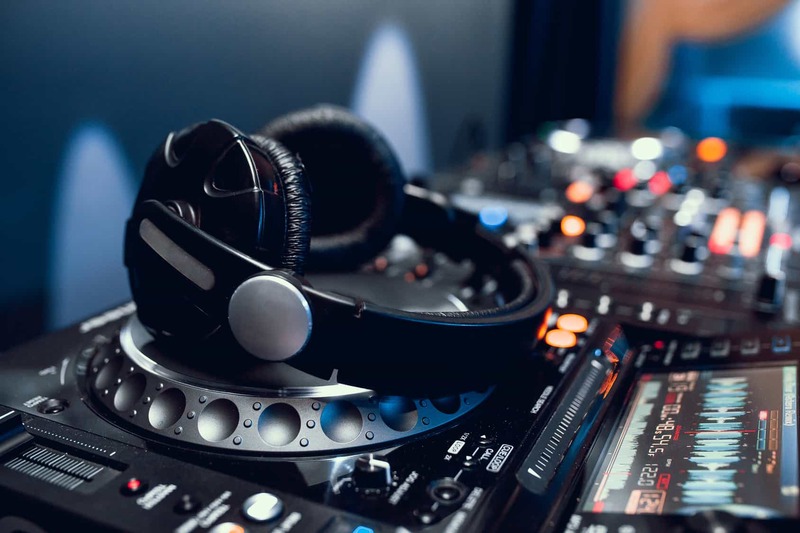 Learn to DJ like a pro, and be club-ready on our fully comprehensive Electronic Music DJ course. Those who make the grade will be invited to play at our club night at The Knitting Factory, which is most DJ course learners. You’ll learn on industry standard Pioneer Nexus equipment, which you’ll find at any respectable venue (or DJ school). Learning how to DJ should be FUN – not frustrating! Our Electronic Music DJ course is designed for beginners, as well as those who have already played around at home, who would like to learn proper techniques on the latest professional equipment, taught by our expert roster of professional electronic music DJ instructors. Class size is capped at only four students, to ensure ample playing time for each student. If you are looking to learn play commercial electronic music genres in a friendly setting of like-minded learners, then this is the course for you. If you have any questions, feel free to send us a message or call (347) 746-4604. To go ahead and book, using the button below, and we’ll look forward to seeing you soon. My instructor was VERY helpful. It took me a few lessons to grasp the concept and he did not give up on me. He tried many different ways to explain the concept and was always patient and understanding. I felt stupid not knowing how to do what he was explaining, but he was very encouraging and motivating, that I would grasp it and I eventually did! The instructor was very knowledgeable and friendly. Small classes are great for individual attention and schooling is affordable compared to other private schools. Very informative. I had an incredible teacher who was patient, knowledgable and all round awesome. I came into the course not knowing much and finished with a gigantic pool of information and skills making me feel equipped to go out and enter the dj world. I feel like I learned everything I could have possibly learned. i have no questions that are unresolved. i learnt more in this class than in a year of studying on my own. I just will miss the class. The course is really straight forward and the instructor is the coolest ever! He can answer any question that you wanna know about DJing. Tell him how you wanna mix, he will show you easily. I would recommend your courses to a friend because I felt it was very professional and personal which I appreciate.